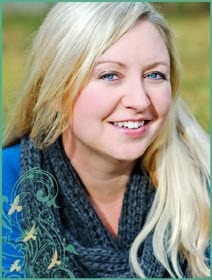 How would you like to win a signed copy of Ally Carter's newest release, Heist Society? It's already a New York Times Best Seller! I had the opportunity to meet Miss Carter last Thursday, which you can read all about on this post. It was a joy to hear her speak, and I encourage everyone interested to check her website for her schedule. Now, this is a Young Adult book, so I'm sure some of you are saying, "Well DARN IT, I don't read young adult chick's books... That's sissy stuff!" (Am I right DL?) You shouldn't feel left out! Not on Kristin's birthday! (Gasp!) So I will also be giving away a $10 Amazon e-mail gift card. +1 for guessing my correct age on this birthday! Contest ends at midnight this Sunday, February 28th. Winners announced Monday, March 1st! "Eyes closed tightly, I blew out the candles on the cake, and wished... I could be 16 again." Definitely enter me for the book! It looks really good! You are on my blog sidebar a-n-d, I say you're 27. "Eyes closed tightly, I blew out the candles on the cake, and wished...my mom could be here to see me turn 30." I will enter for the book. I was going to go for 27, then 28, then 26 so now i will guess 29 (like me!) - Happy Birthday! wOOt! "Eyes closed tightly, i blew out the candles on the cake, and wished...for agent representation! I will enter for the gift card :) Yay for Ally Carter though!!! I would say you are about to turn 27! Happy Birthday!!! Eyes closed tightly, I blew out the candles on the cake, and wished...that the one would soon find me. Happy birthday to you fellow February baby! Thank you for all of the birthday wishes!! I'm loving these sentences! And the age guesses.. teehee!! I'll go for the gift card too! I'm terrible at guessing ages, but I'll go for...27. Eyes closed tightly, I blew out the candles on the cake and wished that this lame party would hurry the hell up and end already. HAPPY BIRTHDAY! :) I would love to enter for the book, I need to catch up on my YA reading! It's so hard to guess ages. I'm turning 25 in September and people still think I'm a college freshman. My dentist likes to ask what grade I'm in because he knows it annoys me LOL. I will guess ... 28! I've got a link to this contest on my blog's sidebar. Here's my ending to your sentence: Eyes closed tightly, I blew out the candles on the cake, and wished...for a MacBook! And, I'd like to enter the drawing for the signed book! Have fun celebrating your b-day!! count me in!!!! for the signed book for sure! too cool of a prize to pass up! Eyes closed tightly, I blew out the candles on the cake, and wished...for a Vacation!!!! I'm in desperate need of one! LOL...aren't we all? Here's the completion to your sentance. ...mom could remember when my birthday actually was and stop baking me a cake every couple months. I'm terrible at guessing ages. How about...26? Eyes closed tightly, I blew out the candles on the cake, and wished...for two more wishes. I had always been the practical one. Eyes closed tightly, I blew out the candles on the cake, and wished that this incredible year would never end. i would like to enter for the book! Eyes closed tightly, i blew out the candles on the cake and wished that i would have continued uninterrupted happiness throughout the rest of my life. 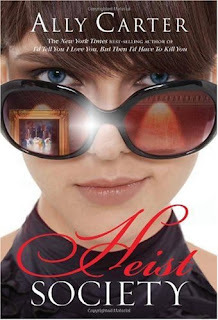 I've been hunting down giveaways all over the net for Heist Society! I really want to read this. But I just can't pass up the opportunity for the Amazon gift card, so Amazon is my choice. Age? Well, maybe it's because I'm 38, but I'm going to skew a bit older than the other guessers and say that you're turning 34. Thanks so much for hosting this giveaway, and happy birthday! I'm going to guess you're 27 (going on twenty-five). Eyes closed tightly, I blew out the candles on the cake, and wished for.... Jackson (*wink, wink)! Happy Birth Day! My guess for your age? 27. Eyes closed tightly, I blew out the candles on the cake, and wished for... a clean house and a year supply of Godiva chocolates. And if I am a lucky winner, totally want the book! Put me down for the book! I love new books. Books books books. Ok. I am going to guess 27. And I mentioned you in my blog today. kayeleenscreations.blogspot.com. Eyes closed tightly, I blew out the candles on the cake, and wished for a Cadbury bunny to provide me with an endless supply of Creme Eggs. Well, I'm already a follower, but I'm hoping for a book, so I'm going to enter. Eyes closed tightly, I blew out the candles on the cake, and wished for...the toilet to clean itself. As for your age, I really don't know, but I'm guessing 33, 'cause it's not taken yet. As for your age, my first guess was 26, though I'm thinking you look younger or older than you actually are, thus the question, so that's probably wrong. I'll stick with it anyway. Eyes closed tightly, I blew out the candles on the cake and wished my story was out of my head, completely polished and ready to submit. I'll guess you're turning 26. Eyes closed tightly, I blew out the candles on the cake and wished for a clean house. Please enter me for the gift card. HAPPY BIRTHDAY :-) I think you are 21 this year! I hope you get to do something really fun for your birthday. I hope you don't celebrate your 21st the way I did. We went out for "drinks" with friends. There three year old threw up on the table. UGH...I guess I have a special memory though. I just got back from Disney so I missed your b-day! Happy belated!! Hmm... I'm gonna guess you're like me and look younger than you are. :) 30? Eyes closed tightly, I blew out the candles on the cake and wished for... a finished WIP! You are welcome to enter my contest, too!